Messe Frankfurt Middle East, the regional arm of international trade show and conference organiser Messe Frankfurt, has announced plans to launch a new exhibition targeting the wider Middle East, African, and Central Asian markets. Interior Lifestyle Middle East will debut in March 2020 in Dubai, offering a holistic platform for exhibitors to showcase mid to high-end consumer goods, specifically oriented toward the giving and dining segments, and targeting thousands of retail and corporate buyers across the region. The annual three-day event will run alongside the Messe Frankfurt Middle East-organised Paperworld Middle East, the region’s premier trade platform for paper, stationery and office supplies. The two shows will take place at the Dubai International Convention and Exhibition Centre. Simon Mellor, the CEO of Messe Frankfurt Middle East, said Interior Lifestyle Middle East will leverage the existing synergies of Paperworld Middle East, where around a quarter of the 7,000 plus visitors expressed an interest in purchasing gift articles already in 2018. “Interior Lifestyle Middle East will cater to a vital niche in the market for mid to high-end consumer and lifestyle goods, especially gift articles and dining products and accessories,” said Mellor. 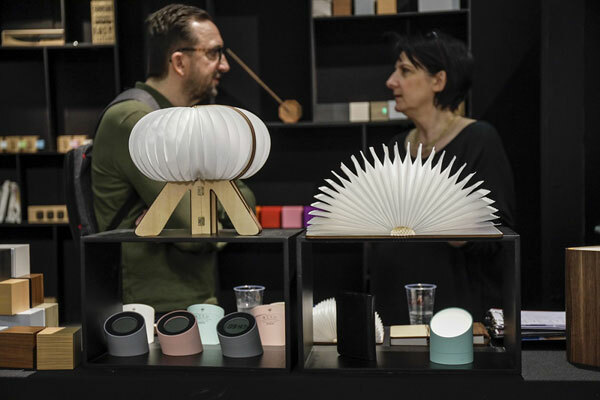 Interior Lifestyle Middle East 2020 will make its debut in a Middle East and African (MEA) market where demand for dining items such as glassware, tableware and household utensils, continues to rise. According to analysts Euromonitor International (EMI), the retail value of the MEA dining market was $1.8 billion in 2018, comprising beverageware ($719 million), cutlery ($620 million), and dinnerware ($473 million). This figure will rise to be worth nearly $2.5 billion by 2022, growing at a compound annual growth rate of eight per cent. Exhibitors in Interior Lifestyle Middle East‘s Dining segment will line up an assortment of items such as table decoration and accessories; decorative objects; crystal ware; porcelain, glass and ceramics; metal, gold and silver items; small electric appliances; designer plastic; and storage items.